Engineering student Tommy leads the Formula Student team at City. 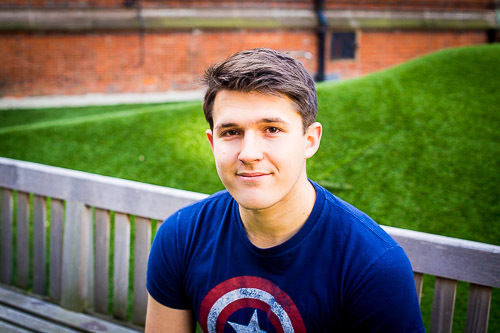 Tommy received a scholarship for his course at City University London enabling him to join the Formula Student team in the Department of Mechanical Engineering and Aeronautics. Tommy was captain of the Football team at City. My family mentioned City to me initially, so I decided to look in to it. At the time I was living in South East England but when I realised Formula Student was offered alongside the course, City became my first choice. Cars and Motorsports have always been a passion of mine, and I have always wanted to work on my own project car or build a car of my own. This, along with learning more about design and management-related tasks is why Formula Student really appealed to me. I volunteered in first year and have been apart of Formula Student ever since. I now lead the team and we have at least 6 first years starting this year. This year I am looking forward to starting the engine of something I have researched, drawn, simulated, manufactured and assembled. Seeing a fully functional car at one of Motorsports most iconic circuits and possibly getting to drive it would be the cherry on the black, white and red Formula Student cake!